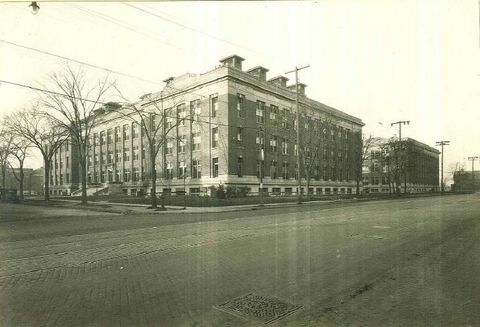 The student view of the Medical School has changed as the years progressed. 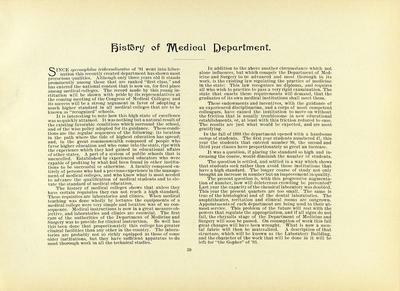 Only three years after the opening of the Medical School, the 1892 Gopher Yearbook (page 77) proclaimed the Medical School’s positives, including the high standard it set for its students. 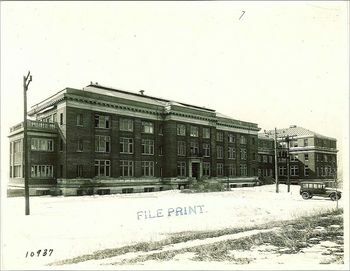 Some other aspects of the Medical School that the Gopher Yearbook touted were the great clinical facilities, the large number of students, and the faculty who had previous experience in teaching or managing medical schools. Toward the end of the production of Gopher Yearbooks, the observations about the Medical School were less glowing. The comments were still positive, however they were aimed more toward commiserating with the current students on how much work it was to study for a medical degree. 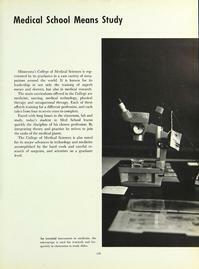 In the 1961 Gopher Yearbook (pages 123-125), for instance, an article entitled “Medical School Means Study” explained that “Medical school has a reputation for being rough. This is no idle talk. 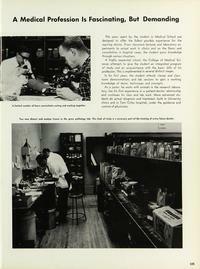 Every hour of lecture means at least two in the lab.” In 1964, the Gopher Yearbook (pages 339-343) had an article about how the work of a medical student was demanding and required determination. While this article has many pictures and explanations about what a medical student does during their years of training, it has nothing as complimentary as what was written in the 1892 Gopher Yearbook. The strength of one’s bite and the force used to chew food appear to have intrigued dental students for centuries. The earliest investigation of jaw strength on record dates to 1681 in Rome by Professor Giovanni Borelli of the Jesuit College (see picture at right). The value of the early studies on bite force and jaw muscle strength was mainly in satisfying curiosity, however later interest existed in the effect of functional demands on tissue health and development. 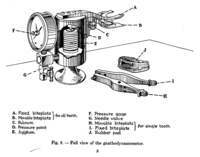 In 1936, the University of Minnesota’s School of Dentistry determined that the principle difficulty encountered by researchers studying the muscles of mastication was the lack of an instrument to accurately measure the pressure exerted by the jaws. 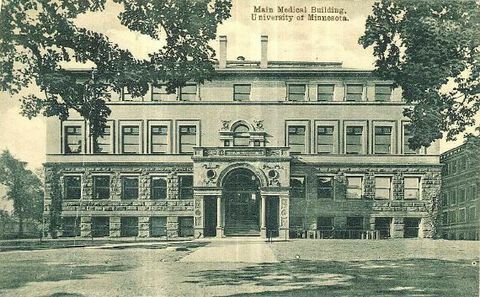 Along with the University of Minnesota Scientific Instrument Shop, the School of Dentistry developed the “Gnathodynamometer of the School of Dentistry, University of Minnesota”. Would you bite on this for science? For more information on this instrument or on the School of Dentistry’s history, please visit the University Archives. History does not necessarily have to be about people who are no longer around. 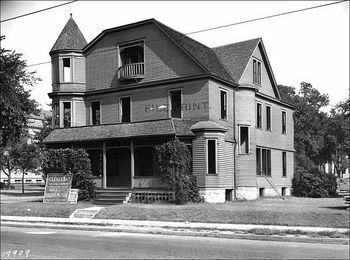 The Academic Health Center History Project has an oral historian, Dominique Tobbell. 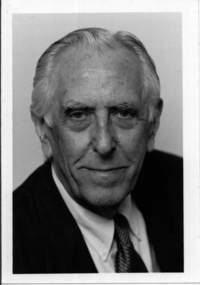 Since 2009, Dr. Tobbell has conducted interviews with many of the prominent people of the Academic Health Center from the past century. Here in University Archives, we have finally uploaded the first batch of oral histories she conducted to the University Digital Conservancy. Getting people’s recollections and perceptions first hand makes history seem more tangible. If you have a few moments, browsing the recently uploaded oral histories is something worth doing.